Plisse-pleated damask center; velvet sides. Braid and eyelash fringe trim. 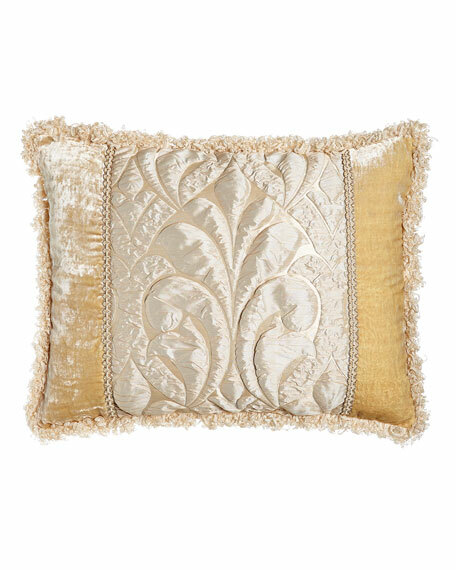 Made in the USA of imported polyester damask and cotton/rayon velvet.